Rare Florentine Opportunity! 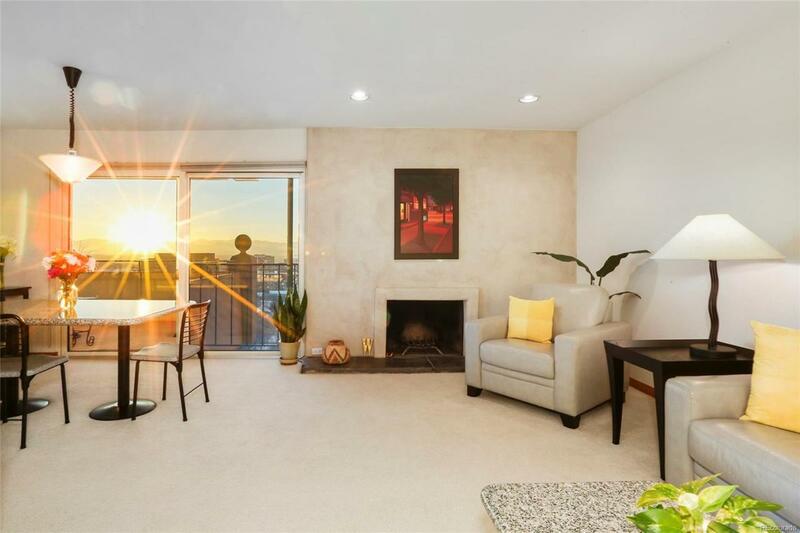 Spacious, bright, immaculate 2-bedroom, 2-bathroom condo features sweeping mountain and city views. Two indoor garage spaces compliment this southwest corner unit on a high floor. Stucco wood-burning fireplace is a focal point as you enter the unit. Enjoy sunsets, city lights, and fireworks from your large west-facing balcony. Kitchen and bathrooms are sleek and modern, and open floor plan is perfect for entertaining. Designer touches include custom closets, recessed lighting, glass shower doors, and woodwork. Ultra quiet concrete building. Shared laundry on each floor is only steps from this unit -- handy and convenient. Walk to over 50 restaurants and shops within a half a mile! Cheesman Park, Govs Park, Trader Joe's all a few quick blocks away. Hop on a convenient bus to downtown or Cherry Creek. Pet friendly building allows up to 2 animals, 60 lbs total. Solid HOA. See it now!